We must stay one step ahead in business competition and we will offer you that advantage. By spending only Rs 5/- a day, you can get Tally Mobile App which gives you Real Time access to your Tally ERP 9 data, anytime, anywhere and helps you to take decisions on the go! 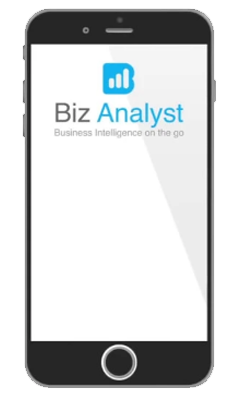 BIZ Analyst is a mobile application, it is securely synced with your Tally ERP 9. A must have tool for "Any person on the move"
Dashboard - View Sales, Purchase, Outstanding, Cash Book, Bank Book etc. Reports - Expenses, Inactive Customers, Inactive Products, Party Ledger , Daybook etc. Sales Analysis - Analyze by Sales Groups like Ledger, Voucher Type, Stock Item, Stock Group, Cost Centre etc. Data Secure - Data is synced with industry standard end-to-end encryption. Multi Companies/Users - Add Multiple "Companies" in your account and share company with Multiple Users. 24/7 Access - You can check your "Tally Data" anytime, anywhere on your phone/Tab, even offline also. Don’t wait, go ahead and call us +91 9820114922 or just mail us at amita@ninetyninesolutions.com Price – 1800/- GST as applicable extra (per year, per device, per Tally ERP 9 License).